Steristrips are adhesive strips that can be used to bring the edges of a minor wound together. This will help the wound heal and keep it clean. They may be used for wounds that are clean, have straight edges that line up well, and are easy to push closed. Hair tying may be used for scalp lacerations. Hair is gathered in a way that pulls the wound shut. The hair is then held together with a rubber band or dermabond while the wound heals. Laceration management. EBSCO DynaMed Plus website. Available at: http://www.dynamed.com/topics/dmp~AN~T129892/Laceration-management . Updated October 25, 2016. Accessed September 30, 2016. Lacerations. Merck Manual Professional Version website. Available at: http://www.merckmanuals.com/professional/injuries-poisoning/lacerations-and-abrasions/lacerations. Updated March 2017. Accessed December 14, 2017. Pressure ulcers. Merck Manual Professional Version website. 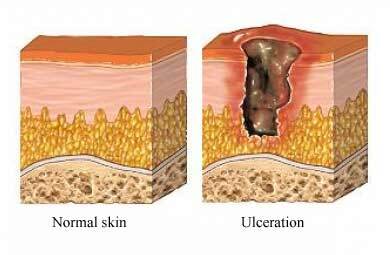 Available at: http://www.merckmanuals.com/professional/dermatologic-disorders/pressure-ulcers/pressure-ulcers. Updated July 2017 2017. Accessed December 14, 2017.